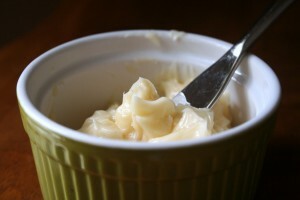 Place room temperature butter and whipping cream into a bowl and mix on medium high until it comes together. Add syrup of your choice and mix on low speed until well distributed throughout butter. Scoop into serving dish, store sealed in fridge.